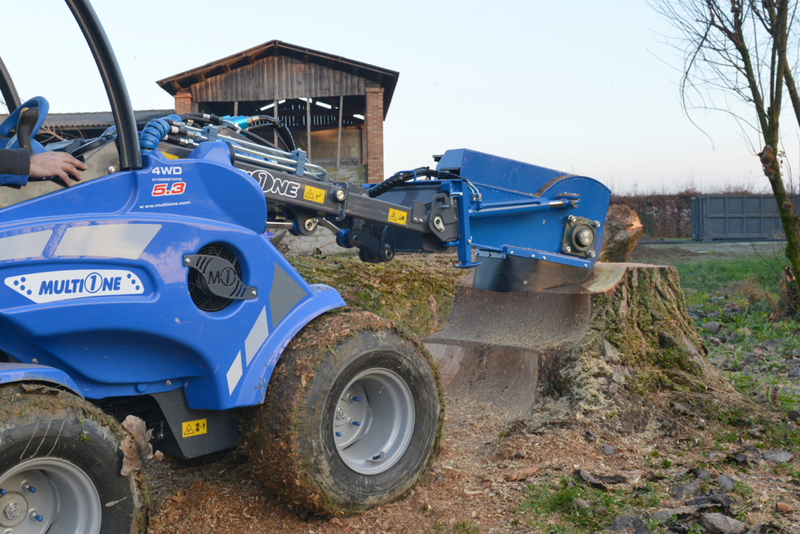 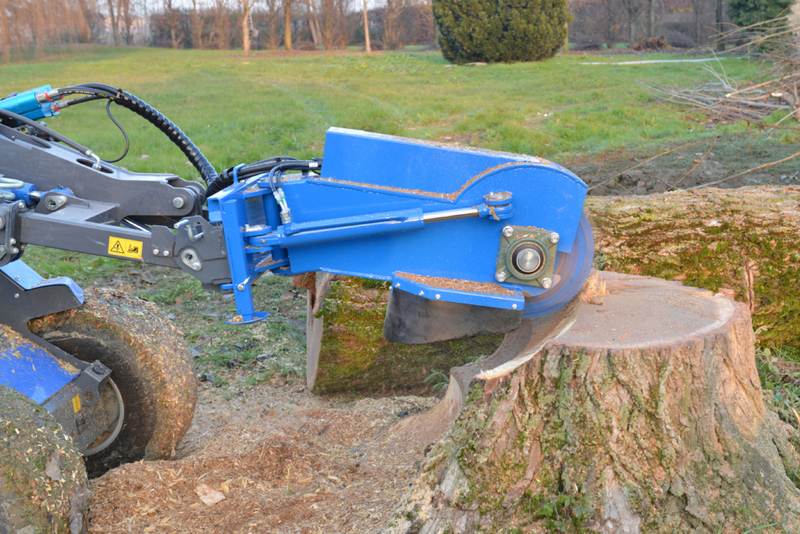 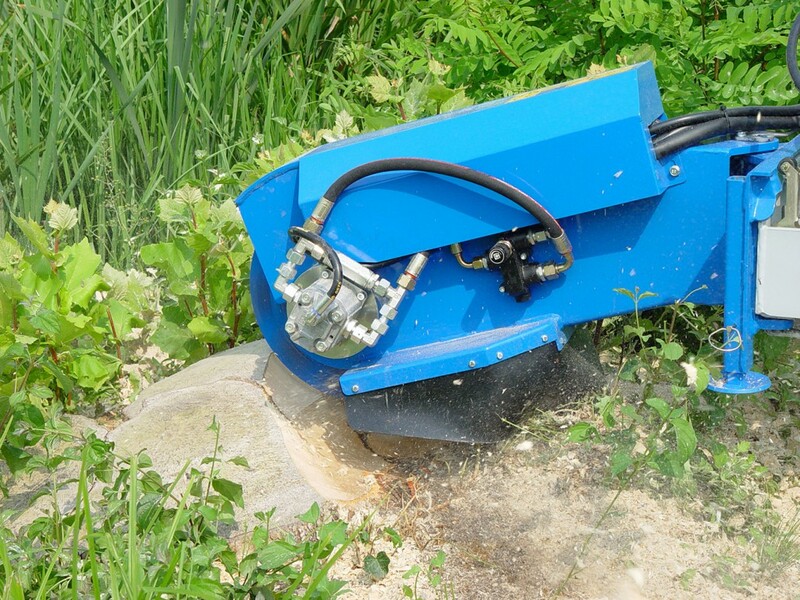 The hydraulically powered stump grinder is a necessary tool for landscaping and forestry work. 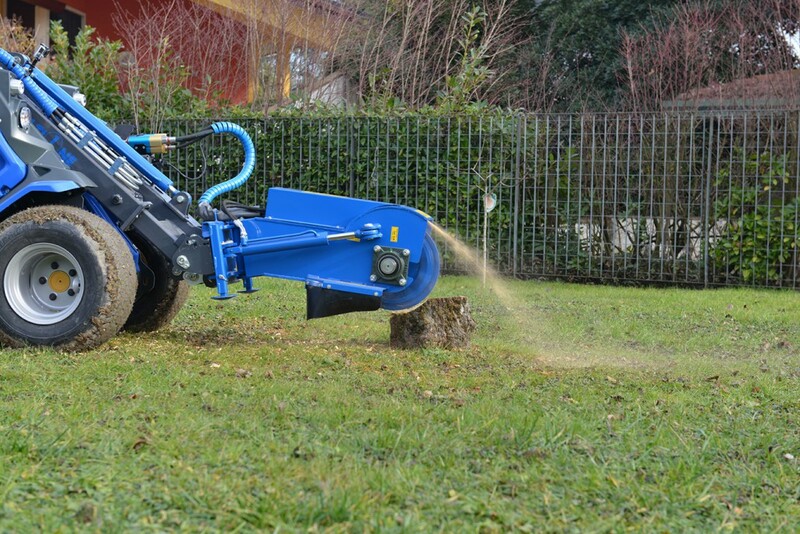 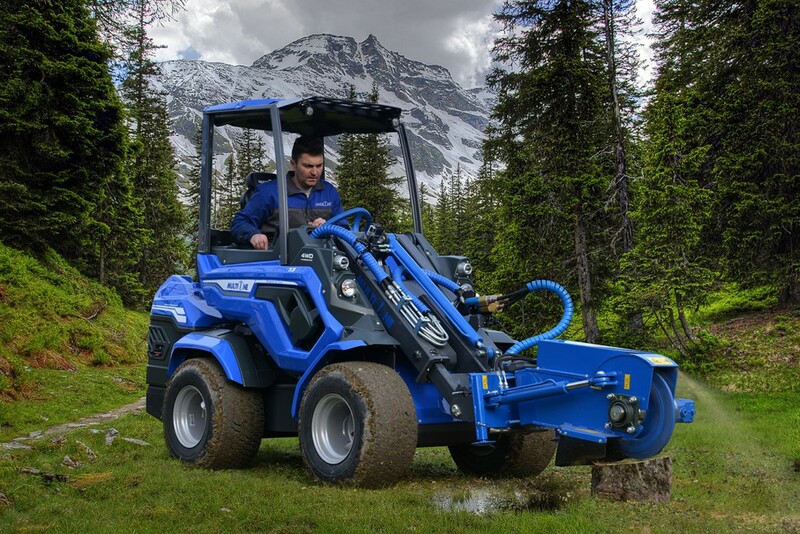 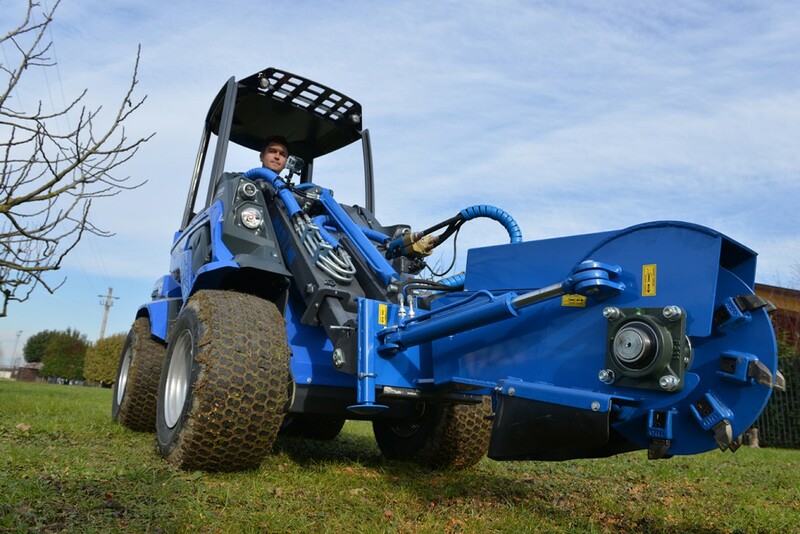 This unit hydraulically sweeps side to side effectively grinding the stump as deeply under ground as needed. 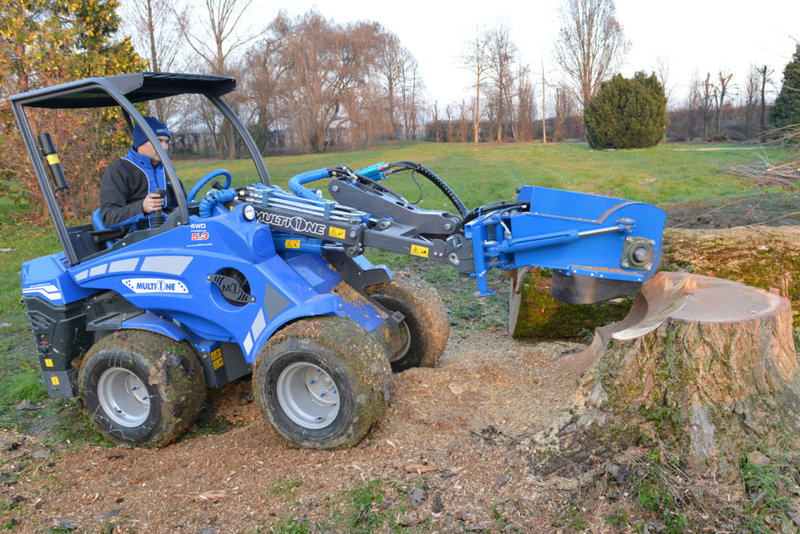 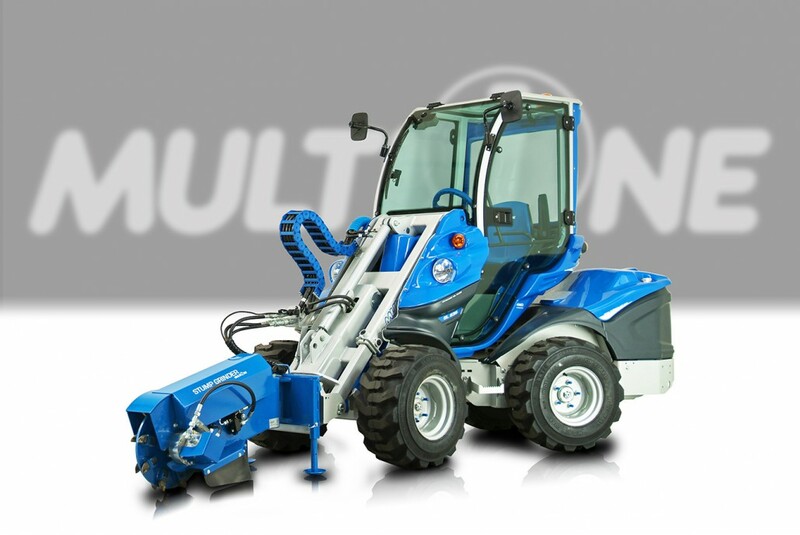 The stump grinder is safely controlled from the MultiOne’s operator’s seat. 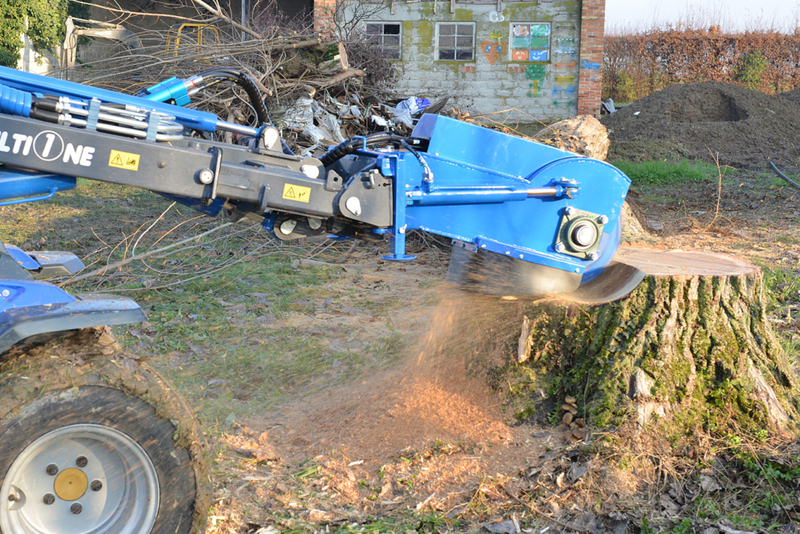 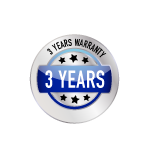 The solid steel cutter wheel and heavy duty teeth assure long lasting cutting performance.